Now no need to buy a wireless mouse or Keyboard for your computer, now you can convert your Android mobile phone into Wireless Keyboard and Mouse. Some days back we mention about how you can use your Android as webcam and how to use Android Phone As a Wireless Modem. Now today we come with a new app, which allows you to turn your android device into wireless mouse. All you have to install AndroMouse application on your Mobile device and computer. AndroMouse also features speech-to-type which uses Google speech recognition to make your work easier. 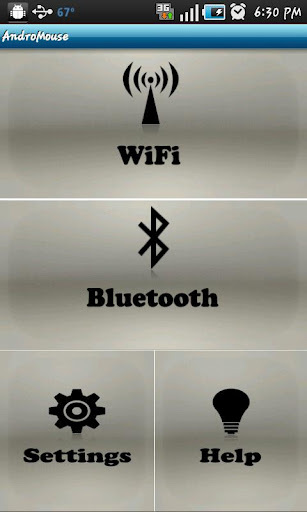 You can connect your mobile to your PC via WiFi connection or Bluetooth. 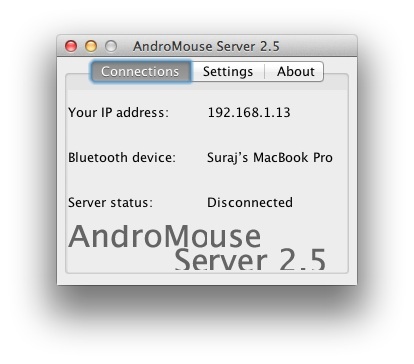 First install the AndroMouse application on your PC and Mobile phone. Now run the app on your PC and it automatically configures the local server address. After the configuration, launch the app on your mobile phone to start using the app as a wireless mouse. Tap on the Wifi Option and enter the ip address as shown by the desktop server or you can hit the detect automatically option. Now you device is connected with the PC. Once connection is established, you can use your device as a wireless mouse. 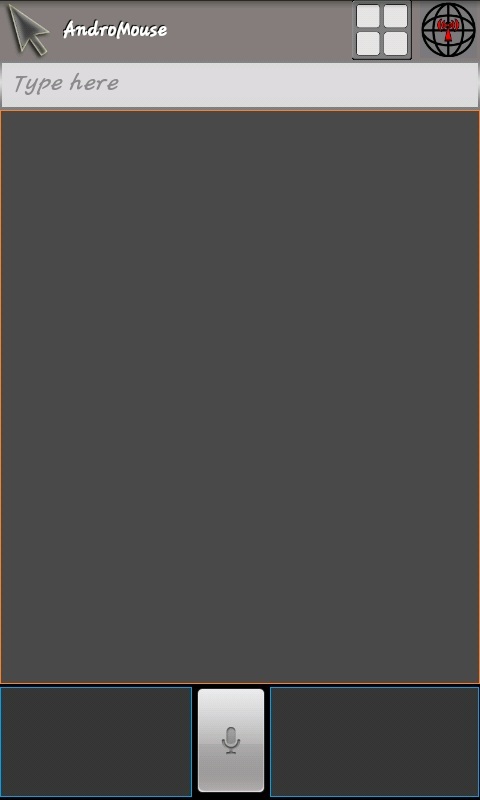 Now drag your fingers on your mobile screen to control the cursor of the connected computer. With two fingers you can scroll up and down the page, like using the mouse wheel. The app is available in two version, free and paid. In paid you will get some more features like Speak to type, Media Remote, File Browser, Power remote. Shutdown, hibernate, log off, restart your computer while lying on your bed. In free version you can use mobile only as a Mouse pad and keyboard.